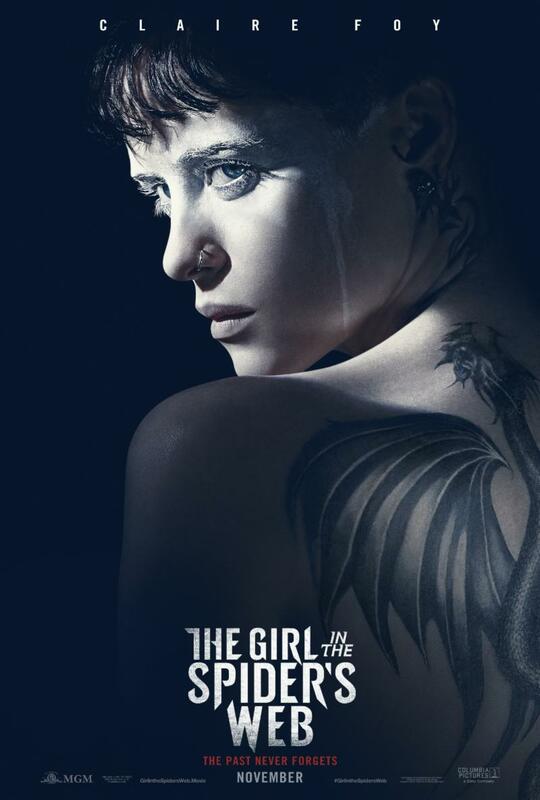 Here is the second trailer from the upcoming film “THE GIRL IN THE SPIDER’S WEB” The film is directed by Fede Alvarez, starring Claire Foy, Sverrir Gudnason, Lakeith Stanfield, Sylvia Hoeks, Stephen Merchant, Claes Bang, Christopher Convery, Synnøve Macody Lund, Vicky Krieps. 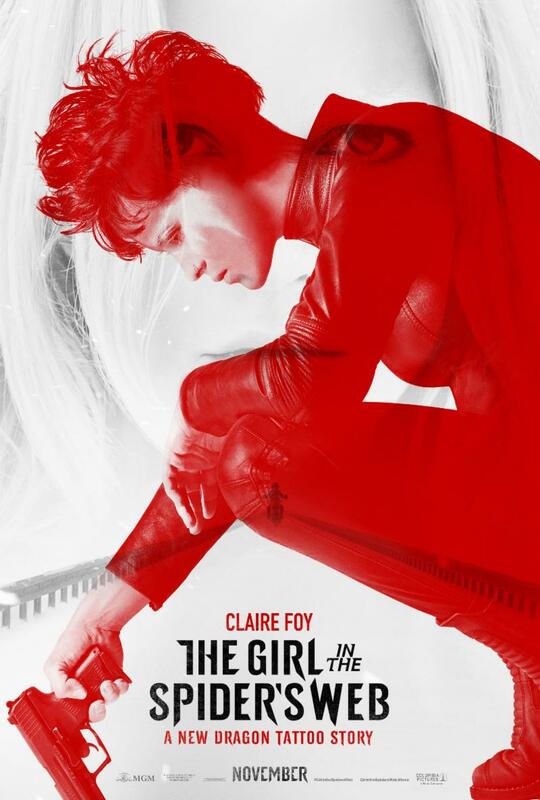 Here is the trailer from the upcoming film “THE GIRL IN THE SPIDER’S WEB” The film is directed by Fede Alvarez, starring Claire Foy, Sverrir Gudnason, Lakeith Stanfield, Sylvia Hoeks, Stephen Merchant, Claes Bang, Christopher Convery, Synnøve Macody Lund, Vicky Krieps. The beloved garden gnomes from GNOMEO AND JULIET are back for a whole new adventure in London. When Gnomeo and Juliet first arrive in the city with their friends and family, their biggest concern is getting their new garden ready for spring. However, they soon discover that someone is kidnapping garden gnomes all over London. When Gnomeo and Juliet return home to find that everyone in their garden is missing – there’s only one gnome to call… SHERLOCK GNOMES. The famous detective and sworn protector of London’s garden gnomes arrives with his sidekick Watson to investigate the case. The mystery will lead our gnomes on a rollicking adventure where they will meet all new ornaments and explore an undiscovered side of the city. 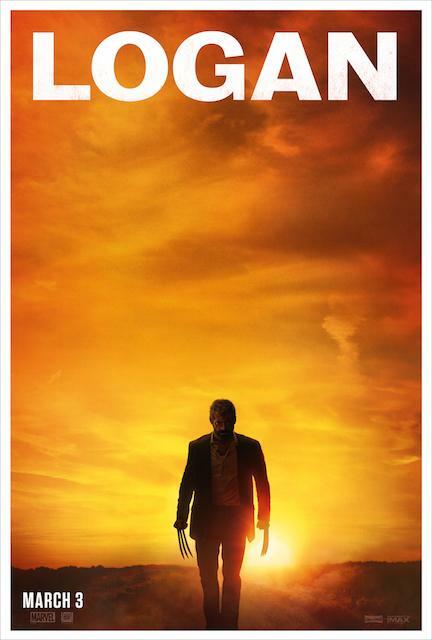 Here is the first clip from the upcoming film “LOGAN.” The film is directed by James Mangold. starring Hugh Jackman, Patrick Stewart, Richard E. Grant, Boyd Holbrook, Stephen Merchant, Dafne Keen. LOGAN hits theaters everywhere on March 3, 2017! Here is the Super Bowl TV Spot from the upcoming film “LOGAN.” The film is directed by James Mangold. starring Hugh Jackman, Patrick Stewart, Richard E. Grant, Boyd Holbrook, Stephen Merchant, Dafne Keen. Here is the final trailer from the upcoming film “LOGAN.” The film is directed by James Mangold. starring Hugh Jackman, Patrick Stewart, Richard E. Grant, Boyd Holbrook, Stephen Merchant, Dafne Keen. Here is the trailer for Magnolia’s “I GIVE IT A YEAR”. The movie is directed by Dan Mazer, starring Rose Byrne, Rafe Spall, Anna Faris, Simon Baker, Stephen Merchant, Minnie Driver, Jason Flemyng, Tim Key and Olivia Coleman. Since they met at a party, ambitious high-flyer Nat (Rose Byrne) and struggling novelist Josh (Rafe Spall) have been deliriously happy despite their differences. Josh is a thinker, Nat’s a doer, but the spark between them is undeniable. Their wedding is a dream come true, but no one — family, friends and even the minister who marries them — is convinced that they will last. Josh’s ex-girlfriend, Chloe (Anna Faris), and Nat’s handsome American client Guy (Simon Baker) could offer attractive alternatives. I Give It A Year is written and directed by Dan Mazer (Borat: Cultural Learnings of America for Make Benefit Glorious Nation of Kazakhstan, Bruno), and is produced by Tim Bevan, Eric Fellner (Love Actually, Atonement), along with Kris Thykier (Stardust).